What exactly is MONOTEK® flooring? MONOTEK® is a self-levelling, trowel applied, methyl methacrylate resin based flooring system, that is usually applied at 3 – 6mm to most commercial & industrial flooring substrates. (eg. concrete, ceramic or porous tiles, new cement sheet, new plywood and stainless & mild steel (correctly prepared) MONOTEK® is highly chemical & abrasion resistant, and is installed seamless (requires no jointing, except major expansion joints) due to its highly resilient nature when cured. MONOTEK® can also be formed into coving / kerbing / ramps and used to repair/ resurface very badly damaged & eroded mineral substrates. Can MONOTEK® be applied during cold weather or while our freezer & cool room is operating? MONOTEK® can be installed at temperatures as low as minus 30°C, and still rapidly cure - so even the most extreme winter temperatures are no problem. Given this unique feature, there is also no requirement to turn-off cool rooms or freezers during application. Is MONOTEK® MMA resin based, trowel-on flooring toxic or does it contain harmful solvents? MONOTEK® MMA is 100% solids and not toxic when used in typically ventilated industrial environments. MONOTEK® does not contain aromatic solvents, styrene, amines or isocyanates, which are present in most epoxy, polyester & polyurethane based flooring systems – these compounds are highly toxic. 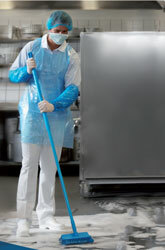 Does MONOTEK® meet health regulations for food handling & production areas? Yes, MONOTEK® exceeds the statutory requirements for flooring in all food related environments. Can MONOTEK® flooring be laid smooth (no anti-slip)? MONOTEK® MMA flooring is often laid smooth in dry environments (such as bakeries & reception foyers) in either a solid Australian Standard colour or by using the MonoChip® coloured flake systems. Can the level of anti-slip be varied to suit my needs? The level of anti-slip can be infinitely varied to suit particular areas and applications. MONOTEK® standard 3 – 4mm anti-slip flooring exceeds the AS/NZS 4586 & AS/NZS 4663 (2004) standards for wet pedestrian & work areas. When you say that MONOTEK® is fully cured in one (1) hour, does this mean we can really resume full traffic, impact & chemical spillage? Yes, MONOTEK® MMA based flooring is FULLY chemically & mechanically cured after one (1) hour and you can resume full production & heavy traffic. Can MONOTEK® flooring be easily repaired? MONOTEK® will permanently bond to itself, even when aged, with the minimum of preparation. Also any repair can be carried-out after hours or during low production time, and be back in service usually within one (1) hour. What colours & finishes is MONOTEK® available in? MONOTEK® is available in all Australian Standard 2700 colours and comes in a wide range of coloured sands / granite-look finishes as well as MonoChip® coloured flake. Special colours can be blended to match existing décor or finishes if required. Will any smell from the MONOTEK® MMA flooring taint foods or raw materials? 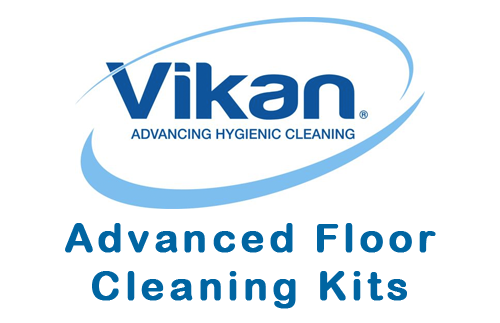 Given our wide experience in the food industry since 1977, we have never had an instance of tainting, however we would always insist that all unpackaged goods are removed from the area of works and that all foodstuffs should be isolated during flooring works, as a matter of good OH & S practice during any maintenance works. Can I visit any sites where MONOTEK® Flooring has been installed? There is a wide range of applications that can be viewed across Australia - please contact us so we can arrange an inspection in your particular industry & geographical area. Is the MONOTEK® flooring guaranteed?